Tidewater Golf Club opened to public play in February of 1990. That year Tidewater was honored by being selected as The Best New Public Course In America by "Golf Digest", and one of the top 10 new courses by "Golf Magazine." Never before or since has one course received both of these honors. Tidewater continues to rank as the #1 course on the Grand Strand (six consecutive years as #1 course in Myrtle Beach), and one of the top 32 public courses in America. 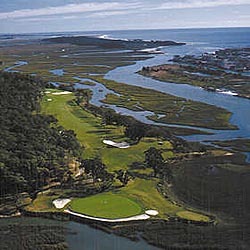 Tidewater built its reputation by having one of the finest architecturally designed and conditioned golf courses in the world.